As you may or may not know, I write a weekly column over at SouthCoastToday.com (the Interweb arm of The Standard-Times out of New Bedford, Mass. 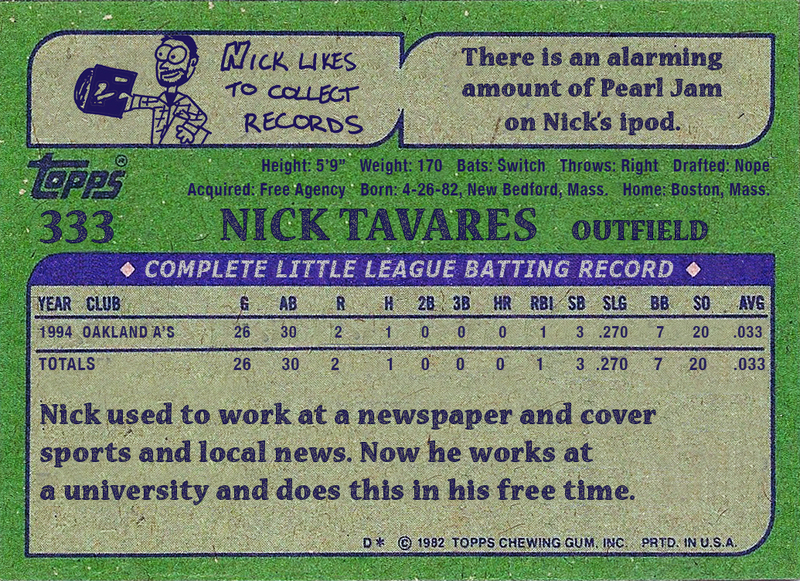 ), and while I don’t typically link to stuff from here to there (it’s only on baseball some of the time), it seemed appropriate in this case. This week, I waxed poetic a bit on Pedro Martinez’s return to the Red Sox, And since I’ve dedicated so much time to the man and his 98-MPH fastball bursting out of a 5’10” frame, it seemed appropriate to share it here. Enjoy. Also, subscription may apply, so there’s that. Alex Gonzalez, in his element. I’d like to take a moment, if I may, to sing the praises of defense and its superiority over the offensive side of baseball. The best part of the game is when a favorite team is in the field. The pitcher controls the tempo as much as the opposing batter will allow and, if he puts it in play, it’s in the hands of the fielders. When those hands are as delicate as a field hockey club tied onto some brute first baseman’s forearm, watching the ball be kicked and muffed and dropped can be a frustrating experience. Typically, the guys who play at the major league level are sure-handed enough to have fewer errors than games played, at least. 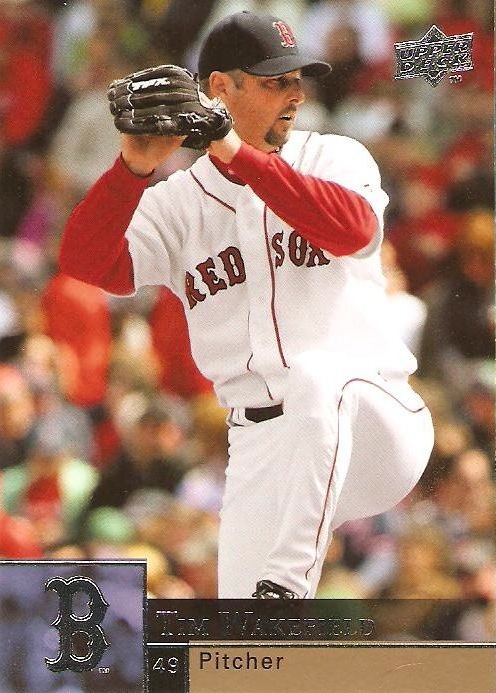 I get a kick out of the fact that Tim Wakefield is almost ageless in baseball card form. In return for Cee Angi’s fantastic look at dating, the Yankees and the 2003 season for Pedro Week, I’ve written a piece on the highs and lows of Tim Wakefield for her fanastic blog, Essence of Baseball. So, you should spend your Monday morning reading that, and then continue on reading everything else she’s written. Do it. It’s what Wakefield would want. Look out, Brick. Im coming for you. 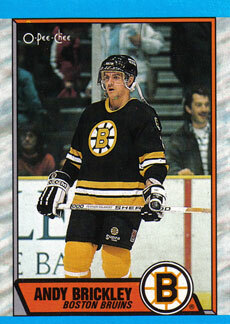 Quickly, I wanted to announce that I’ll be writing for bruinszone.com, part of the Rant Sports network, as their Bruins writer, naturally. I’ll be posting pretty regularly, with lines, injury updates, game wrap-ups, and whatever else feels appropriate or natural. Also, unlike some other unnamed blog networks (Bleacher Report), the folks at Rant Sports seem to run spell check before posting their stuff, and they seem like a good, informative lot. So after you check me out, give their other blogs a spin, too. Really, this is all part of my upwards climb on the media ladder. Andy Brickley, I have my eye on your seat at NESN.